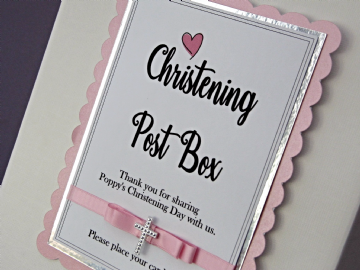 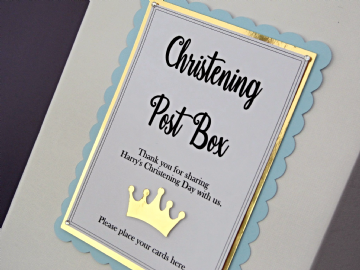 Personalised Christening card post signs are the perfect addition to your Christening card post box. 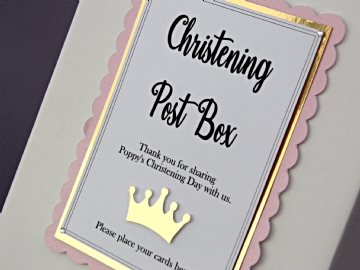 Ideal free standing on a mini easel to guide your guests' where to place their cards & gifts. 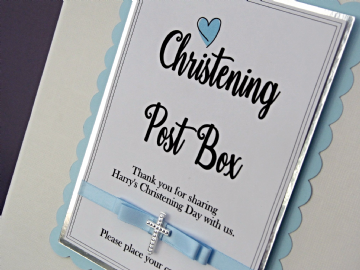 Handcrafted & personalised front plaque made from premium quality card stock in a layered design.